~~> Hungry? Get baking! 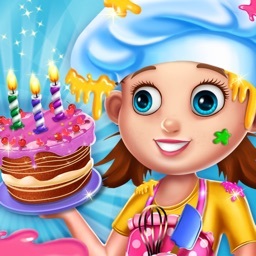 Become the best cake baker in town and create the yummiest cakes! Get Everything & No Ads! Dress up items, Paint & more! 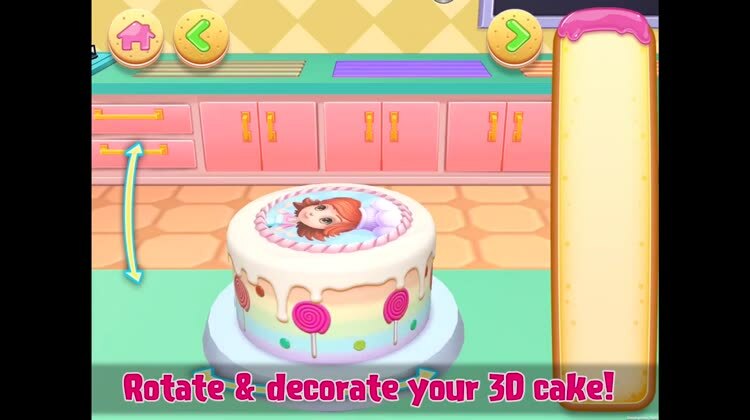 ~~> This app’s beautiful 3D art will make you feel like you’re baking a real cake! Yummy! ~~> What are you waiting for? Get your mixer out and start cracking those eggs! 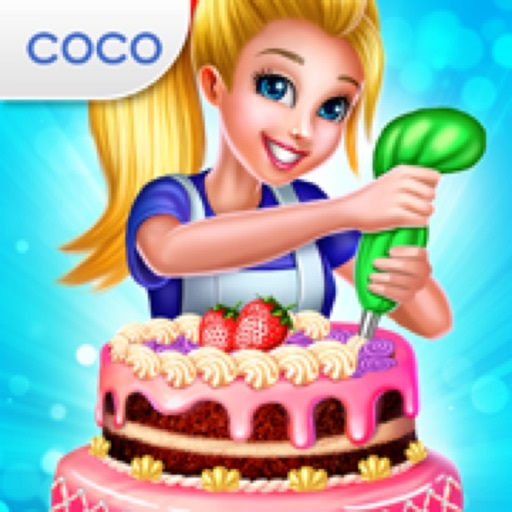 Be the best cake baker the world has ever seen! What’s your favorite type of cake? Sweet birthday cakes? Fancy wedding cakes? Whatever it is, you can make it! 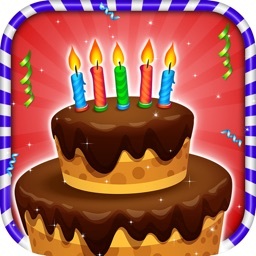 Decorate your cakes to make them extra beautiful, and take photos so you can show your friends your yummy creations! 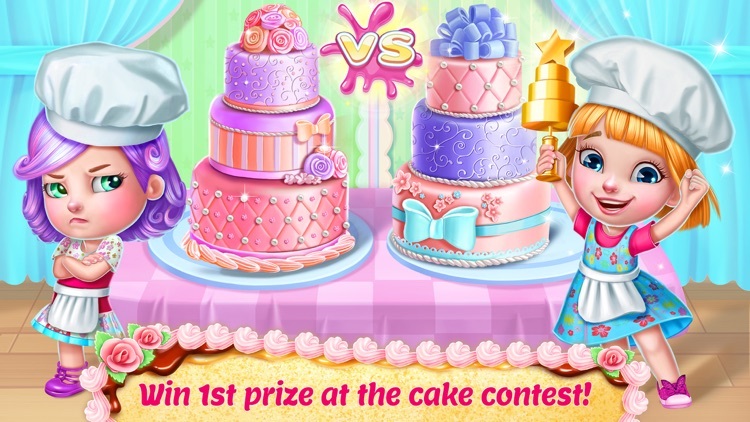 You can even enter your cakes in a contest and serve them to your friends at the cake party! > Learn how to bake the most delicious cakes EVER! > Tons of mouth-watering cake recipes to make for you and your friends! 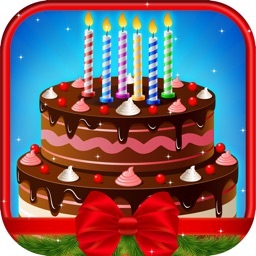 > Use professional baking tools to bake, design & decorate the most delicious cakes! 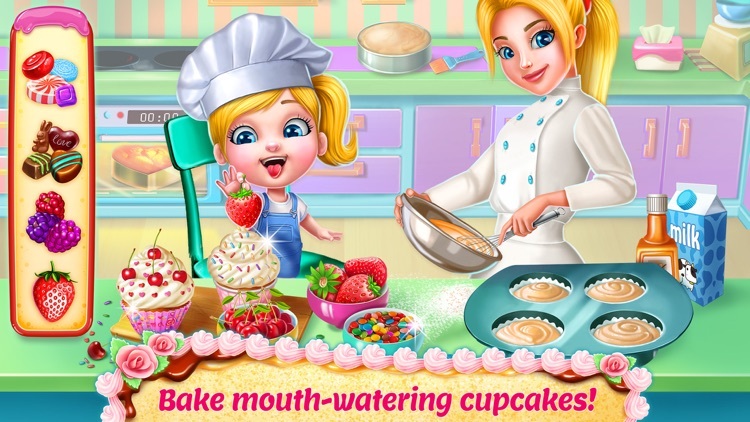 > From rainbow-sprinkled birthday cakes to strawberry cupcakes, the choices are infinite! 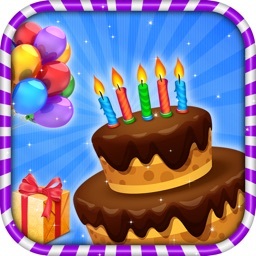 > Decorate your cakes with yummy frosting, delicious decorations & adorable toppers! > Are those wedding bells? Design a beautiful cake for the bride. 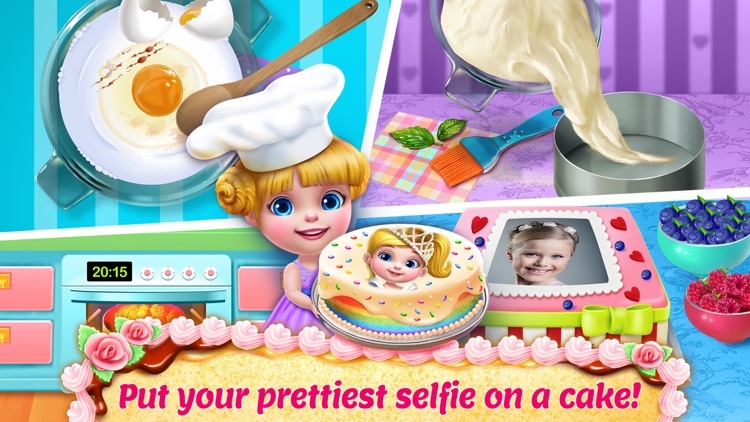 > Put the prettiest picture of yourself on your very own cake! 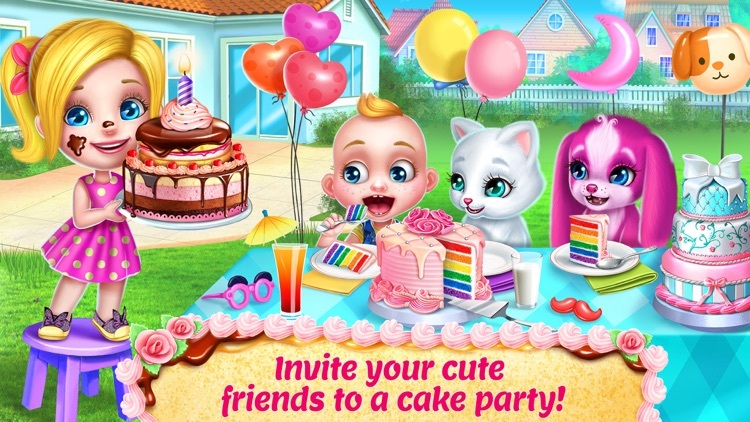 > Have a cake party with your fuzzy bunny, kitty and puppy friends, cute babies, and more! > Make the party extra festive with your very own party decorations! > Enter the cake baking competition, vote for your favorite cake, and win first prize! > To-die-for dark chocolate, cherry-banana cake or cheesecake? The choice is yours! > It’s princess party time! Put your favorite princess on a cake! 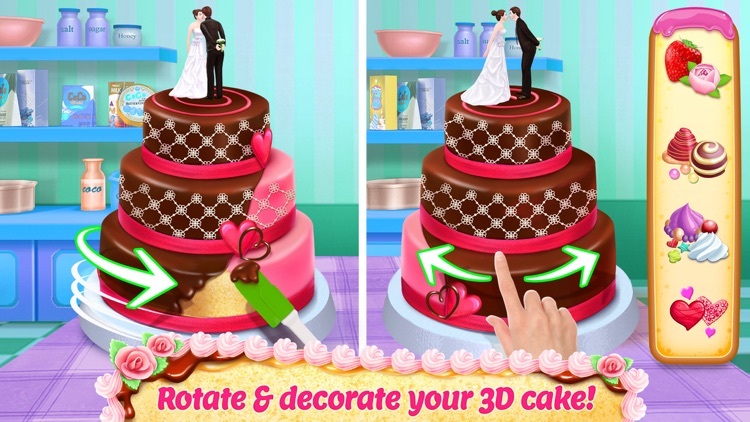 > Take pictures of your masterpiece to show off your gorgeous cake designs! 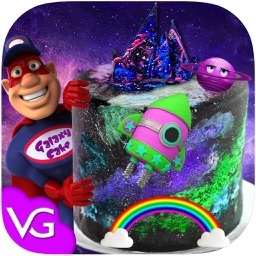 > Make a cake album so you’ll always remember your incredibly delicious creations! > Tons of adorable and fun coloring pages for you to draw in!